﻿ SAS Management Inc.SAS Management, Inc. and Panalpina Global Business Service Center (GBS) – Philippines ink training program deal - SAS Management Inc.
SAS Management, Inc. was tapped by Panalpina Global Business Service Center (GBS) – Philippines to provide a number of training programs for the career development of their employees for the rest of 2018. 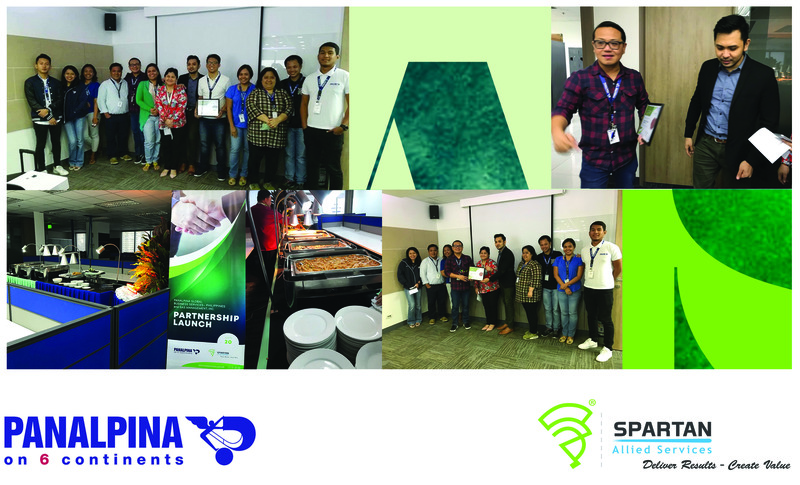 On April 20, 2018, the deal was symbolically closed with simple a celebratory ceremony at the Panalpina GBS office at Five Ecom Center, Mall of Asia Complex, Pasay City. The awarding of the certificate of appreciation from SAS Management, Inc. was followed by sumptuous cocktails. Preceding cocktails was a tour of the Panalpina GBS production floor that includes area they are renovating for expansion. The Panalpina GBS office in Pasay City is just 1 of over 500 offices in more than 75 countries, proving that it is one of the world’s leading providers of supply chain solutions. SAS Management, Inc. is Asia’s fastest-growing training and consulting company with offices in Makati, Ortigas, Cebu in the Philippines, in India, and Malaysia. SAS Management, Inc. offers consulting; certification training programs such as ITIL, PMP, COBIT5, RESILIA, PRINCE2, Certified Service Desk Manager, Certified Service Desk Analyst, ISO; and soft skills training programs that include Technical Writing, Customer Service Excellence, Professional Leadership, Powerful Presentations, MS Excel, and QA for Process Excellence.